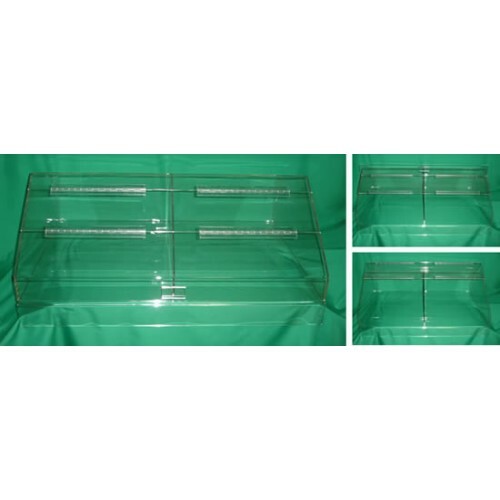 This Double Section Bakery Display Case is an ideal solution for displaying breads, rolls, buns, bagels, and other bakery products. Inside of this Double Section Display Case your bakery products will be protected from contamination and will be kept fresh. Double section door provides access to designated sections without unnecessary opening of the full case, at the same time it provides an easy access to any area inside of the Display Case.